Customize your own adventure with a private charter. Treat yourself and your group to an exclusive cruise along the rugged fiord of the Saanich Inlet or amongst the scenic islands of the Sidney waterfront. Enjoy the relaxing 'living-room' atmosphere on-board with panaromic views for romantic sunsets, birthdays, anniversaries, team-building, staff appreciation, weddings, reunions, memorials, photography and educational expeditions. A party of up to 12 people is comfortably accommodated in one vessel. For larger groups, you can charter two or three of our identical vessels, traveling together and even tieing together for visiting while at anchor. 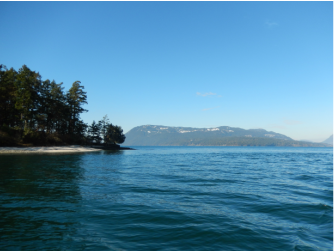 Or you can stop for a walking trek or picnic break at Portland or Russell islands, two jewels of the Gulf Islands National Park Reserve. More information about the Park is available at http://www.parkscanada.gc.ca/gulf.